A 21-year-old player on a Kissammee Parks and Recreations basketball team was told he could not participate in the league. A part-time recreation leader confronted Dakota Basinger mid-game, asking if he was HIV-positive. When Basinger replied that he is, the employee then told him he was not permitted to continue the game or play in the league. A spokesperson for the city’s Parks and recreation department stated that the worker had specifically been told not to approach Basinger and did so without supervisor approval. 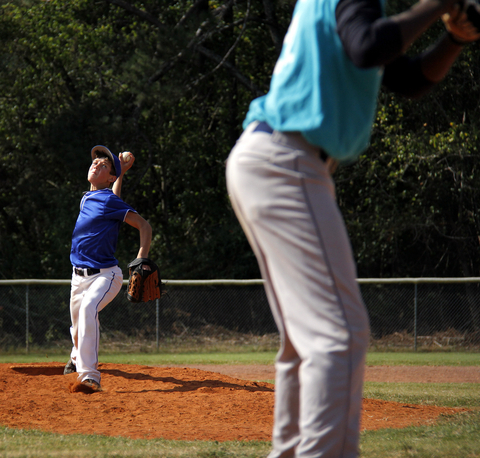 Should players with HIV / AIDS be allowed to participate in youth sports leagues? Find out in our article Read our article HIV in Youth Sports. Recent concussions treatment research reveals that taking a break from the classroom is as important as taking time off the field while recuperating from head injuries. Doctors had long suspected this and advised their patients accordingly, and now research backs up their advice. Researchers found that concussion patients who took a brief period of complete rest shortened their recovery time. The study included 335 patients ranging in age from 8 to 23. 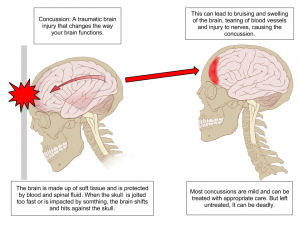 These are significant findings for treating head injuries in children. Youth are the segment of the population most at-risk for long term damage because of their still-developing brains. The study found that half of kids who did not take complete rest immediately following their injury took 100 or more days to fully recuperate. Nearly all who took the time to rest fully before slowly returning to daily activities recuperated in less than 100 days, some as quickly as two months. Evidence also indicates that the reduction of mind activity after a concussion lessens the symptoms associated with head injuries. The severity of the symptoms determines how much time each child needs to rest the brain.Three to five days is usually sufficient, according to study co-author William Meehan of the Sports Concussion Clinic at Boston Children’s Hospital. “Then you can gradually reintroduce them to cognitive activity. They should do as much as they can without exacerbating their symptoms,” said Meehan. A jolt to the head can result in what’s tantamount to a mini seizure. The brain cells fire up all at once, depleting their fuel. To recover, the brain shuts down as it begins the process of restoring the cells. That recovery time is prolonged when brain activity is resumed too early. “[I]t can take days to weeks for processes in the brain to mop up the mess from a concussion,” said Douglas Smith of the Center for Brain Injury and Repair at the University of Pennsylvania Medical Center. The litmus test for returning to activities is being able to do whatever doesn’t aggravate the symptoms. Start with 15 minutes of reading or computer time. But if a headache or other symptoms start up, it’s time to take a break and rest. Increase activity time as the child is able without triggering symptoms or pain. For more information and to find out more about concussion risk management you can check out our concussion resources. Source: Linda Carroll, “Skip the Homework,” nbcnews.com, 06 Jan. 2014. A page on Riddell‘s website discusses their strict standards in the reconditioning and recertification process for sports uniforms and equipment. This reconditioning process fights bacteria, viruses and mold, which reduces health risks. Once the process is completed, a final inspection is made to recertify the equipment and uniforms according to the original manufacturing condition. Watch the video below to learn more about the benefits of reconditioning and recertification. Should players with HIV/AIDS be allowed to participate in youth sports leagues? We have seen an increased number of phone calls requesting direction as to whether or not teams and leagues should allow players that are infected HIV/AIDS to participate. Although this is a controversial subject, we hope you find our article, HIV In Youth Sports, both useful and informative. All sports carry some type of inherent risk, but what are they? 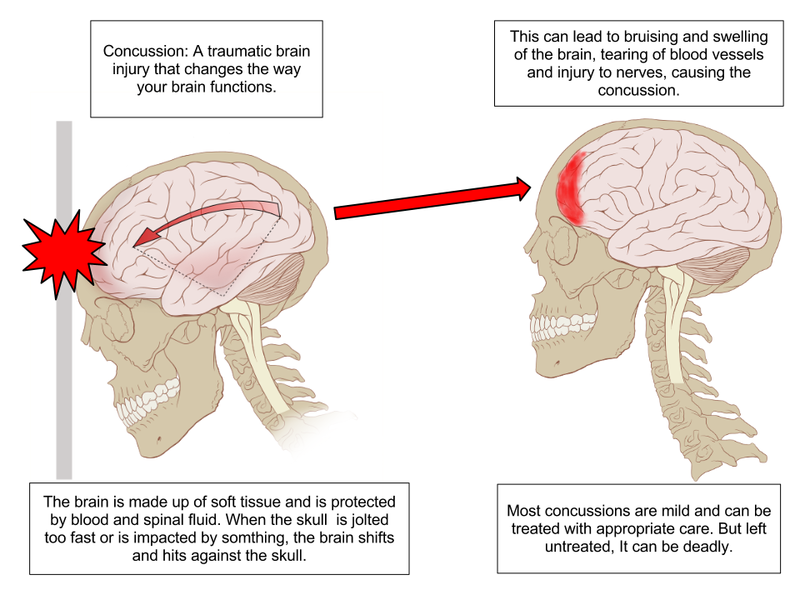 For contact sports, a very common occurrence is the concussion (defined by Websters as “a stunning, damaging, or shattering effect from a hard impact; a jarring injury of the brain resulting in disturbance of cerebral function.”) According to the CNN report below, there is increasing evidence that brain damage actually occurs during a concussion. What are some ways that your local organization is being pro-active in preventing head injuries or putting measures into place to nurture the injury or prevent further injury once it has occurred? Commotio cordis or cardiac concussion can cause sudden death in young baseball players. It is the result of a low velocity impact to the chest from a thrown or batted ball, usually traveling at a speed of between 20 and 50 mph. The impact must occur directly over the heart; the closer to the center, the greater the risk. The cause of death is the development of an abnormal rhythm, ventricular fibrillation, though there may be some affect on the blood circulation to the heart as well. For such a catastrophic event to occur, the impact has to be precisely timed to strike the heart during a 15 to 30-millisecond phase of the electrical cycle. There is a 90 percent death rate among those suffering commotio cordis. The lack of response to CPR efforts by healthy young baseball players is unexpected and remains unexplained. However, it is clear that a rapid response time – three to five minutes – is critical. Batters should learn ball avoidance and turn away from an inside pitch and not open the chest to the impact, as is so typically the case. Avoidance while bunting requires special attention. Pitchers as well should be coached in proper fielding positions and ball avoidance when necessary. Chest wall protectors that are commercially available have not demonstrated to prevent commotio cordis. Studies with baseballs seem to indicate that lighter and softer balls may diminish the risk, but their acceptability for play by older children is of question. Studies indicate that the chances of surviving an incident of commotio cordis is enhanced if a shock from an automated external defibrilator (AED) can be delivered promptly. Most ball parks don’t have AEDs and those that do must have well-practiced procedures in place for the rapid use of the device. Otherwise all is for naught. I am often amazed at the marketing efforts by the vendors of chest protectors. It makes sense that they would help but the scientific studies indicate that many don’t offer any protection and may actually be contra indicated. Apparently, most chest protector vendors need to go back to the drawing board with their designs. Also, the high-profile lawsuit in New Jersey of a pitcher being stuck by a batted ball that came off of an alleged “hot bat” involved commotio cordis resulting in a permanent disability to the pitcher. The metal bat manufacturer and others were sued. What is interesting to note is that commotio cordis usually occurs only when a projectile travels at a relatively slow speed, usually between 20 to50 mph. In this case the basis for the lawsuit was that the ball speed was too fast as a result of the alleged “hot bat”. Baseball is among the safer sports for today’s youth. 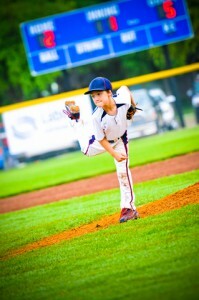 However, many of the serious injuries adult baseball pitchers suffer may have begun to develop in their youth. One of the missions of the USA Baseball Medical & Safety Advisory Committee is to provide scientifically-based information to its youth baseball members in an effort to reduce injury risks and maximize the younger player’s ability to perform and advance to higher levels. The following recommendations were made for pitch counts, pitch types, pitching mechanics and physical conditioning, multiple appearances, showcases, multiple leagues, year round baseball. Pitch Counts: Youth baseball should incorporate the practice of pitch counts like high school, college and pro baseball. The primary factors in predicting arm injuries from pitching are the total number of pitches thrown per game, week, season, and year. Pitch Types: Previous studies have shown that breaking pitches such as curve balls and sliders place more stress on elbows and shoulders than fast balls. As a result, it is recommended that youth pitchers should avoid throwing these types of pitches. Pitching Mechanics: Lab studies show that good pitchers at all levels use about the same mechanics and as a result proper instruction should be given to youth pitchers at an early age to avoid undue stress levels on elbows and shoulders. Multiple Appearances: The practice of allowing a youth pitcher to return to the mound after having been removed earlier in a game is frowned upon. Showcases, Multiple Leagues, Year Round Baseball: All of these participation opportunities are likely to result in throwing too many balls and the related overuse injuries to shoulders and elbows. All sports entail some element of risk of catastrophic injury. However, the frequency of such catastrophic injuries is surprisingly low in amateur baseball. To summarize, the overall rate of catastrophic injuries such as deaths and disabilities is only one per one million participants. Our insurance clients, Dixie Youth Baseball and Dixie Boys/Majors Baseball, participated in a study by completing a survey form on an annual basis that requires the reporting of any catastrophic injury. Other participating organizations include American Legion, Little League, Babe Ruth, PONY, the National Association of Intercollegiate Athletics, NCAA, the National Baseball Congress, the National Federation Of State High School Associations, National Junior College Athletic Association, the National Association of Police Athletic Leagues, the American Amateur Ba seball Congress, Cape Cod Baseball, and the National Amateur Baseball Federation. See the report by USA Baseball Medical and Safety Committee and National Center on Catastrophic Sports Injury Research.